Services | Paice Tax and Accounting, Inc.
We provide full service accounting, bookkeeping and bill paying services for small businesses. We also offer quarterly or full service payroll preparation. We prepare individual and business tax returns. We offer Refund Anticipation Loans to get your money quickly. 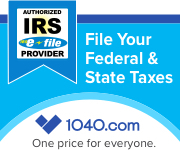 We can represent you before the IRS to resolve tax issues.